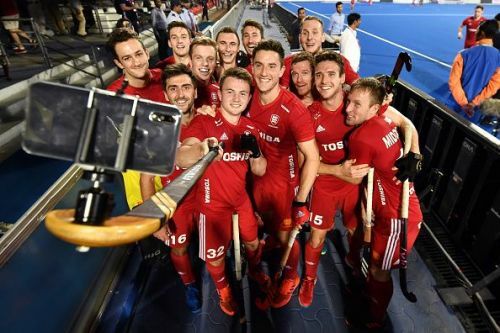 Bhubaneswar, Dec 10 (PTI) A dominant England sailed past New Zealand 2-0 in the first cross-over match to book their place in the quarterfinals of the men's hockey World Cup here on Monday. England scored through Will Calnan's (25th minute) field strike and penalty corner conversion by Luke Taylor (44th) to register the comfortable win. England will face Olympic champions Argentina in the first quarterfinal on Wednesday. World No. 7 England were by far the better side against New Zealand in the opening two quarters, creating more goalscoring chances than their ninth-ranked opponents. England had the first scoring chance in the fifth when they earned their first penalty corner but they failed to utilise the opportunity. After a barren and eventless first quarter, England drew first blood in the 25th minute when Will Calnan deflected in a high ball from skipper Phil Roper from the left flank. Two minutes later, a Liam Ansell strike from close range went just went inches off the target as England wasted a golden opportunity. The Black Sticks tried to forge a comeback towards the end of the second quarter and in the 28th minute, a Nick Ross' strike from the top of the D was padded away by England goalkeeper George Pinner. Seconds later, England were awarded a penalty corner but they failed to stop the push and wasted the chance to go into the breather a goal down. England continued from they left after the change of ends and secured back-to-back penalty corners just after the resumption of play but wasted both the chances. The Black Sticks tried to bounce back but they could find the net after entering the England circle. England earned their fourth penalty corner just a minute away from the final quarter and Taylor scored after David Condon's initial try was saved by New Zealand goalkeeper Richard Joyce. New Zealand came close to reducing the margin in the 49th minute but Stephen Jenness' shot from inside the box was easily parried away by England goalie Pinner. With two goals down, a desperate New Zealand took out their goalkeeper Joyce nine minutes from the final hooter for an extra player but the move backfired as England became the only team to earn two penalty corners without a goalkeeper but Cory Bennett put his body on the line and took a heavy knock to keep England at bay.